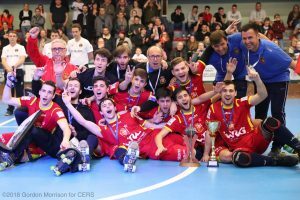 The Latin Cup in Saint-Omer ends with three teams with the same point: Spain, Italy and France end the tournament with 6 points each and the final standing is done with the goal difference in the faceoffs among the teams. 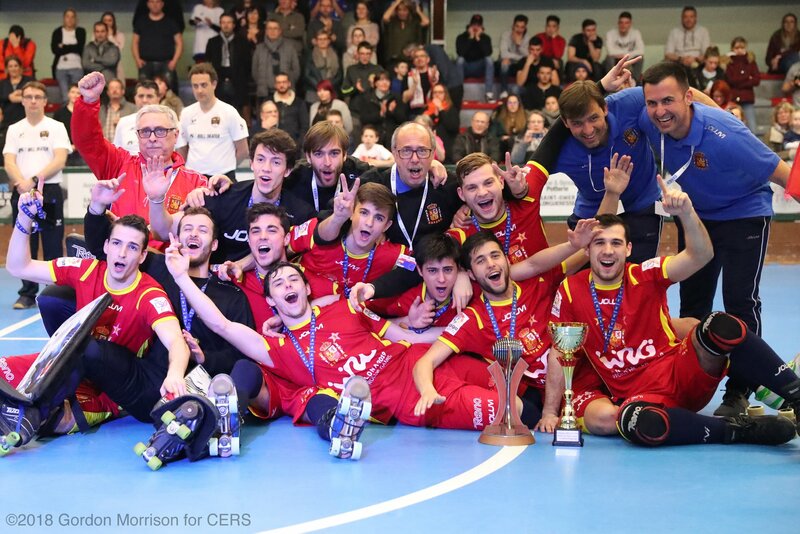 Thanks to the large victory against Italy in the first match day, Spain wins its 12th Latin Cup after 6 years since the last triumph. Italy got the second place, while France got the bronze medal. For the first time in 28 edition of the Latin Cup, Portugal misses the podium and got three losses in the tournament. This is the summary of a three-day of high-level competition in the “Salle du Brockus” in Saint Omer. Yesterday night, on the last day of the Latin Cup, Italy won its second game defeating Portugal. As happened the day before with France, the team coached by Mariotti got the victory during the second half of the game, scoring the decisive goals in a very short time. The effectiveness of the direct shots was the key to close the game, with Giulio Cocco that convert himself in the MVP of the match. Winning against Portugal, Italy did a big favor to Spain. The team of Dominguez had a wide range of results to win the tournament, including a loss by three goals. France tried everything to obtain a historical victory, but only succeed in winning the game, but not the Latin Cup. The one-point victory wasn’t even enough to get the second place, kept by Italy.